Electronics Costs > How Much Does a Laptop Battery Cost? How Much Does a Laptop Battery Cost? Like any gadget, a laptop needs a power source since you take it with you wherever you go. Over time, however, the battery can be damaged or its lifespan can be shortened. This can be a problem since this is the laptop’s main source of energy. On average, a new laptop battery is going to cost anywhere from $15 to $115+, depending on the laptop’s brand and battery brand you purchase. We did some research and looked at the average price for older laptop models, along with the prices we found. Keep in mind that newer laptops could cost much more. The hp mu06 notebook battery, an older model, for example, will cost $15 to replace. Dr. Power, a popular third-party laptop battery company, offers a two-year warranty and more than 800+ charges. These batteries, depending on the brand, start at $80 and go up from there. PC World notes it’s not uncommon for a new laptop battery to cost close to $100 or more, sometimes as high as $150. CNET also backs up the same price range, stating laptop batteries can cost $119 to $179. While most batteries are simple to install since they simply pop up, some will have its laptop batteries built internally such as the Mac. If this is the case, a professional may be required and could charge about $100 to $150 to professionally install it. Depending on the usage, most laptop batteries will last one to two years and will be good for up to 350 to 450 charges. After this amount, the battery will start to lose its capacity to hold a charge and will slowly start to offer less and less time on the battery. What may have been 10 hours, in the beginning, may only be five hours today. Always recycle your laptop batteries at local office supply chains. To know which laptop battery you have installed, go to your control panel on your computer and look for the power options button. Click this, and look for the power meter tab with a battery icon. On this page, you will be able to see which battery your computer is currently using as it will list the manufacturer name, manufacturer data, serial number, bar-coding number and battery name (FRU part number.) With this information, you can search for your laptop battery online and find the exact battery you’re using right now. Not all batteries will be created equally and you should always match the voltage on your current battery. If your laptop battery is dying in less than 60 minutes, then there’s a good chance it’s faulty. Other common symptoms include not charging when being plugged. Avoid plugging your laptop in while the battery is still intact. With most laptops, you can simply pop out the battery and set it aside. What most people don’t know is that as long as the laptop is plugged in, it won’t need the battery to function. Take advantage of your laptop’s battery saver mode by clicking on your battery indicator in the lower right-hand corner. If not in use, unplug any peripherals, such as an external hard drive or webcam, while using the battery. If possible, plug in your battery before your battery hits the 20% range. By doing so, this can extend the life since you won’t be putting a strain on the battery as it’s trying to keep itself alive. Extending your RAM has been proven to extend your battery since the company can store the information on the RAM rather than on the hard drive. Turning down the screen brightness can help reduce the battery life. Turning off Wi-Fi and Bluetooth can slightly lower the battery life since the computer won’t have to constantly look for a connection if one isn’t available. Invest extra money in an SSD drive, a hard drive which uses flash memory and far less power than a traditional hard drive. Use a hard surface to allow your laptop to cool down when you’re using too many programs. Overheating can put a strain on your computer, leading to your battery working harder. Try to buy an OEM laptop battery instead of a third-party since these tend to have a longer lifespan and the quality is better. Plus, some third-party batteries may scrimp on safety features, often harming your laptop or even starting a fire. 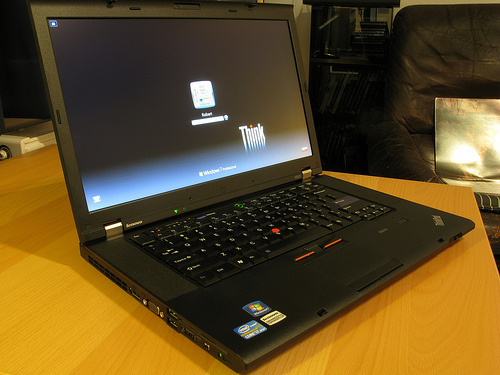 If the laptop is still under warranty, usually under 18 months, most major companies will send a replacement. Always make sure you keep all the necessary paperwork and register your laptop to ensure that you can get a replacement battery if the current one fails. Avoid purchasing from the branded store since these stores tend to mark up their prices more than a traditional big box or online retailer.